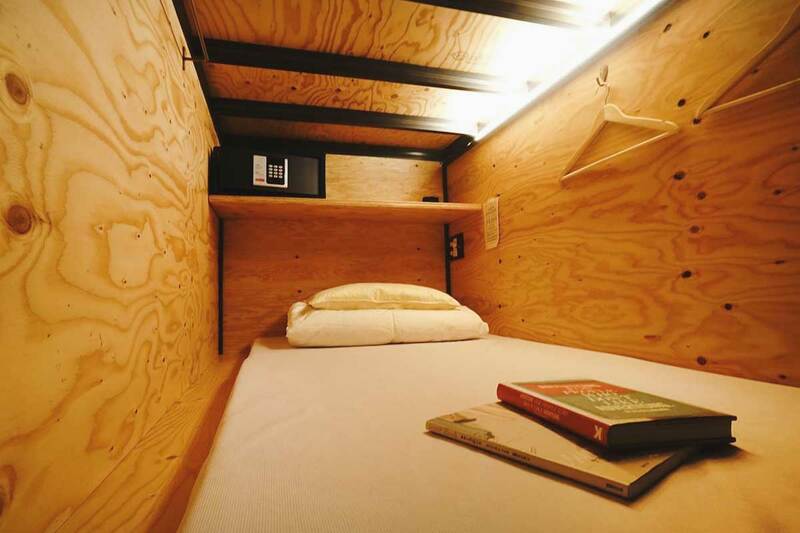 It is time to unbox the best hostels in Tokyo. Tokyo is big in the hostel game, and yet there is no 5 Star Hostel in Tokyo at the moment. What a pity! We know. But fear not, we found the 3 best and coolest hostels in Tokyo, Japan for you. This is your answer to where to stay in Tokyo on a budget. We decide to put together the best places to stay – and compare them! We condensed it all to the 3 coolest hostels in Tokyo. 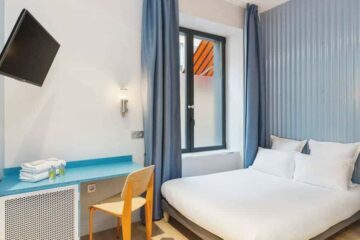 We handpicked the best design-led hostels for you; social, fun, easy-going, and in style. 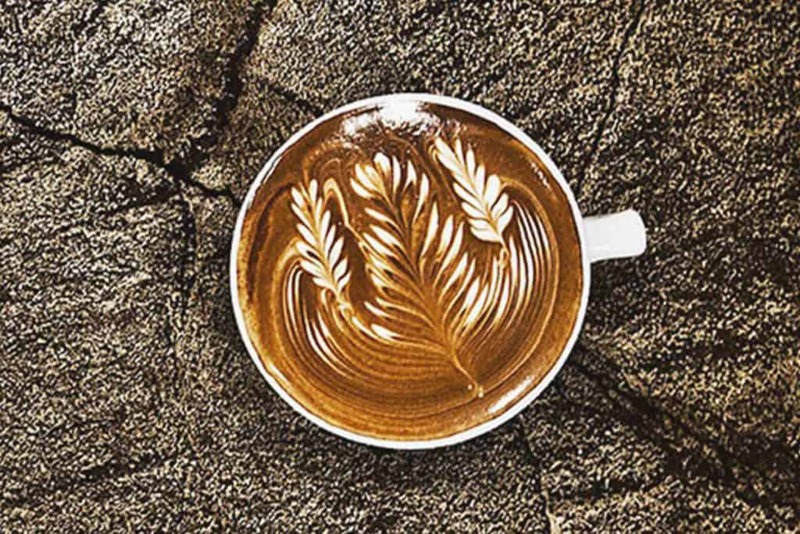 These budget accommodations come with a clean and cool design, relaxing areas, and even with an in-house bar or Café where you will love to spend your time. If you are traveling even more around Japan, feel free to contact us for hostels recommendations. We will be happy to help you find the best design hostels to stay in Japan. Tokyo is every traveler’s dream, especially during the season of the cherry blossom festival. Recognized as one of the most populous Metropolitan in the world, is an exciting city to visit. Even though the bustle and the crowds, people are incredibly considerate. Average price for a bed: A bed in a dorm can cost 18€ – 25€ per night. Hostels in Tokyo can be quite “cheap” when choosing dorms – for Japan standards. It is the cheapest accommodation you will find! 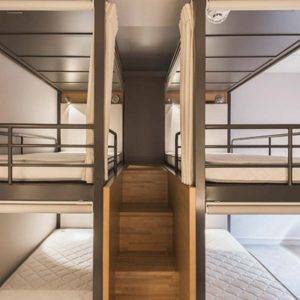 A hostel in Tokyo with private room starts from 60€ to 120€ per night. in This is a rough average to give you an idea. Prices always depend on season and holidays. Expenses: Along with transport, the accommodation in Japan will be by far your biggest expense. Choosing a bunk bed over a private room can save lots of money. Also, check the location of your hostel, this can save you money in transport. Also, not all hostels offer private rooms. Overall Hostel Quality: The overall hostel quality in Tokyo and Japan in general is high. You will find beautiful high-end hostels like Boutique Hostels and Design Hostels. 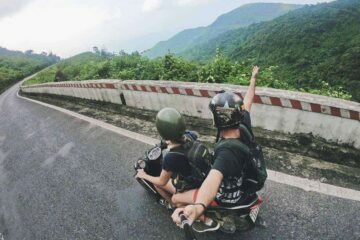 You also find low-budget hostels, great hostels for partying, and backpacker choices. 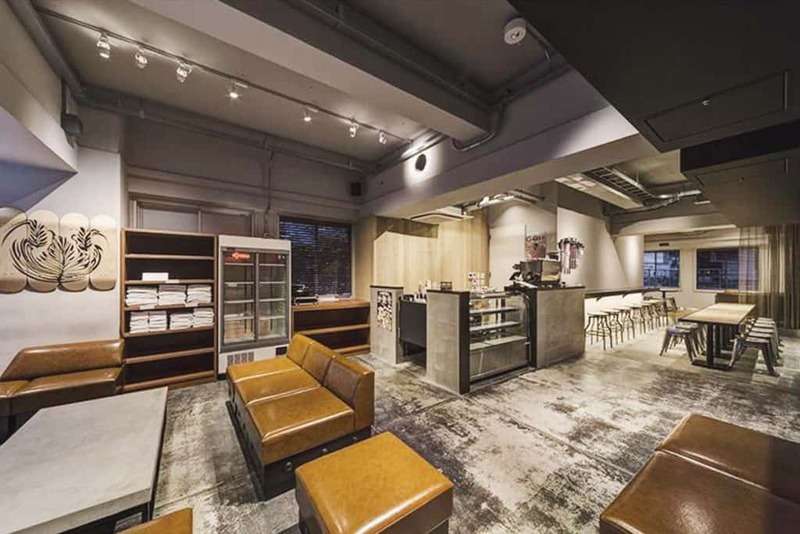 We have shortlisted 3 of the best hostels in Tokyo for you to stay with your friends or family. At the end of the article, we put all three accommodations on the map. Another cheap option for staying in Tokyo is Airbnb. With this link, you get 35€ off on your first Airbnb stay. Kaisu hostel was formerly the Shimazaki restaurant with performing Geishas. Later, the restaurant converted and opened its doors for travellers from all over the world. Kaisu hostel is just 5 minutes away from Akasaka railway station. The hostel is known for its traditional Japanese style rooms. Many travellers rated the hostel for its clean dorms and friendly staff. When it comes to the stay, you are likely to experience the best of comfort. Each pod in the dorm offers privacy. Kaisu has a variety of options for travellers. All dorms are shared which makes it a great way to meet people from around the world. If you are keen on socializing, then you can blindly choose the 14- bed mixed dorm as it is the best way to meet a lot of new people under one roof, quite literally. For women who are not comfortable with the idea of a mixed dorm, the option of a 10-bed female only dorm comes in handy. There are shared showers for all dorms and specific female only showers for the female only dorm. The cleanliness is beyond perfection, promising guests a comfortable stay in the hostel. Kaisu hostel also offers a private room with high ceilings and windows that allow natural light to enter into the room. 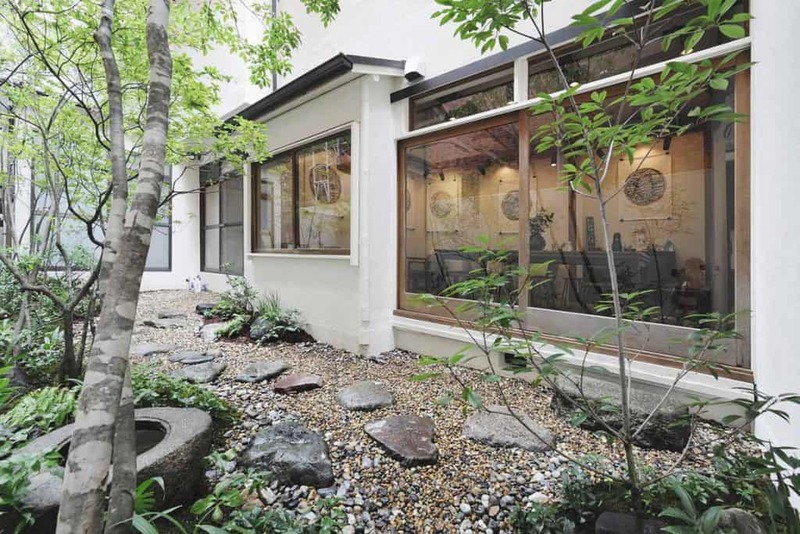 These private rooms retain as much of the traditional Japanese interiors as possible. The hostel is located 5 minutes away from the Akasaka railway station, making it a convenient staying option for travellers who want to visit the city often. The best part about the location of Kaisu is that it is surrounded by a lot of serenity and as a neighbourhood, it is more of a clean and pretty location. Minato is an excellent choice if you want to experience local cuisine and culture. 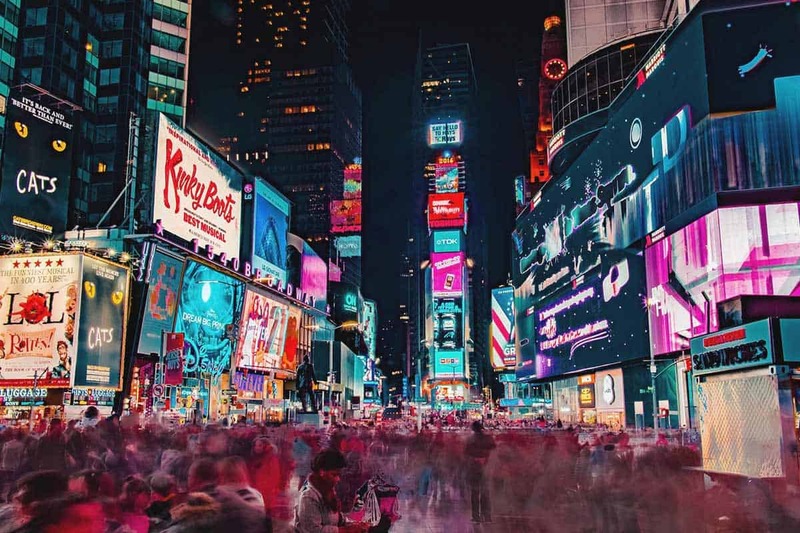 Do you love the city but hate the chaos? Then kaisu is your place to be while in Tokyo. Who stays at Kaisu Hostel? The hostel is frequented by young travellers, solo-travellers and backpackers! 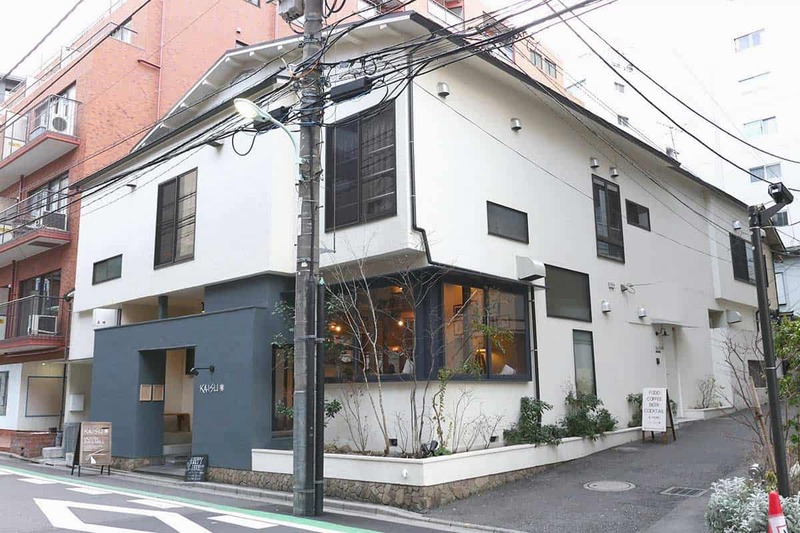 Kaisu is a great place to stay in if you are backpacking through Tokyo with friends or if you are a group of female travellers. Because of its cleanliness, safety and other standards, Kaisu also sees a lot of solo female travellers through the year. With people pouring in from all over the world, Kaisu is one of the happening hostels to network and socialize with other like-minded individuals. What to expect when staying here? You need not worry about internet connectivity as Kaisu offers high-speed WiFi as a compliment to all guests checking in. You can plan your day ahead by browsing for things to do at Tokyo or even use it as per your convenience to call friends and family back home. Thinking about lack of privacy? Worry not. Kaisu hostel offers privacy with blinds for each pod and also provides the option of safe storage. All you need to do is chill and experience the magic of Tokyo. Remember to leave your footwear outside the room if you opt for one of the traditional Japanese designed interiors of a private room. Apart from that, Kaisu provides everything you could possibly need. 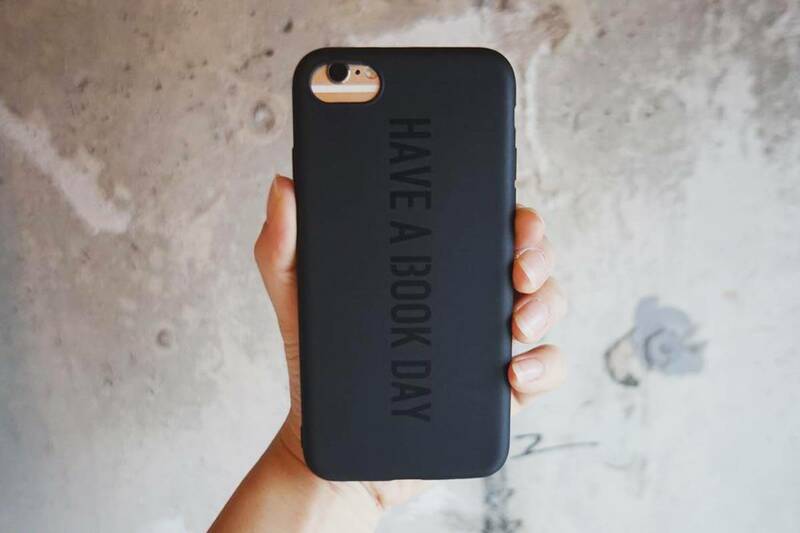 This is where every book lover’s dream come true. If you are one of those people who carry a horde of books with you every time you step out to travel, then Book and Bed Asakusa must be on your bucket list. The unique and amazing concept of housing a hostel amidst a collection of books by Book and Bed in Asakusa draws many travellers from across the globe. Choose from a wide variety of bunk beds in each mixed dorm. The hostel offers a single bed in a mixed dorm as well as an extra comfortable double bed. You can choose from the options as per your convenience. Travellers who have stayed at Book and Bed Asakusa have found the staff to be very friendly and helpful in times of need. The hostel also has a bar on site if you want to grab a drink without leaving your book or your hostel! Clean and pristine showers are available for all occupants and there are specific female only showers too. The hostel offers free WiFi facility for all occupants. The best part about each pod in the dorm is that it is neatly tucked away behind a book shelf. The pods are spacious and cosy at the same time. Offering luxury and comfort for a very reasonable amount, this one of a kind hostel is a must visit. Even if you want to visit only for a couple of days. Apart from the books and the bed, Book and Bed Asakusa is a great place to meet like-minded book enthusiasts. All the books in the hostel are of an eclectic nature, thus catering to the literary and intellectual needs of a wide variety of minds. 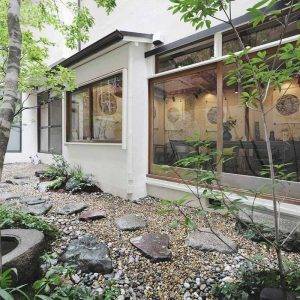 Many travellers meet other travellers over a book or a brew at the Book and Bed Asakusa. Book and Bed Asakusa is just 300 meters away from the Asakusa station which connects to all major parts of Tokyo. A train ride of 30 minutes will take you to many major attractions in the city. This neighbourhood is an excellent option for travellers who love visiting temple towns and witnessing history in an archaic nature. The Dempoin temple, Sensoji Temple and the Asakusa shrine are merely 10-15 minutes of walking time to reach. The location of the hostel also conveniently puts it closer to Tokyo skytree, parks and gardens as well as the Japan Imperial Palace. Who stays at Book And Bed? Travellers and book enthusiasts from all walks of life head to the Book and Bed in Asakusa. 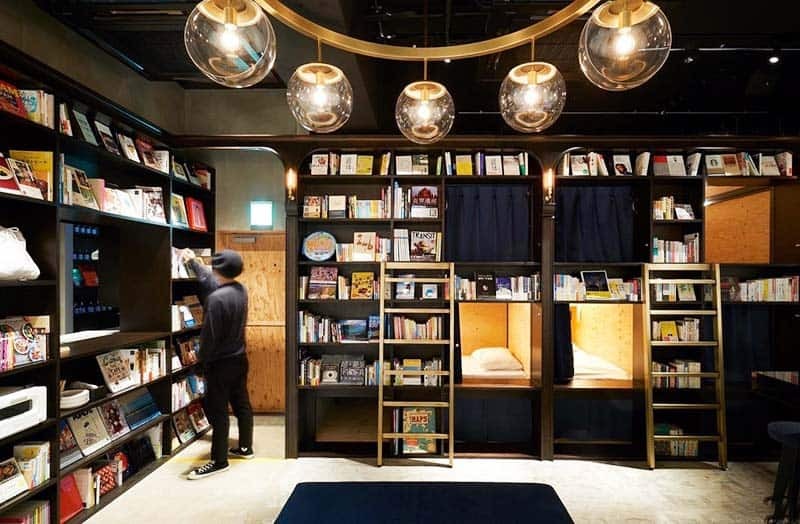 Of late, many travellers from the United States, United Kingdom and countries such as Australia and New Zealand have been flocking in to check out the concept of this book-themed hostel while visiting Tokyo. Many Japanese Travelers also love to stay here. 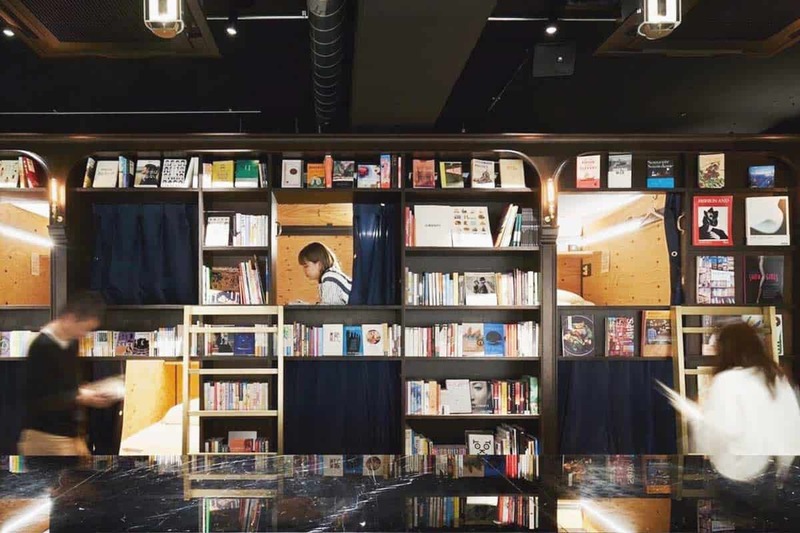 Besides, if you are travelling with a book enthusiast to Tokyo, you can definitely consider Book and Bed Asakusa for its high-end amenities and its proximity to several tourist sites. What to expect at Book and Bed? The staff here speaks English, which makes it all the more convenient for travellers. The one thing you need to know beforehand is that there is no hard and fast rule as to the number of books you can sneak into your bed. Just pick what you like and tuck away in a corner. Keep a tab on the clock if you want to avoid missing out on exploring the city, because in a hostel as comfy as this, you are bound to have a good time. There is no kitchen at Book and Bed. Love a good old backpacker hostel with excellent amenities? Head right to Grids Hostel in Akihabara. 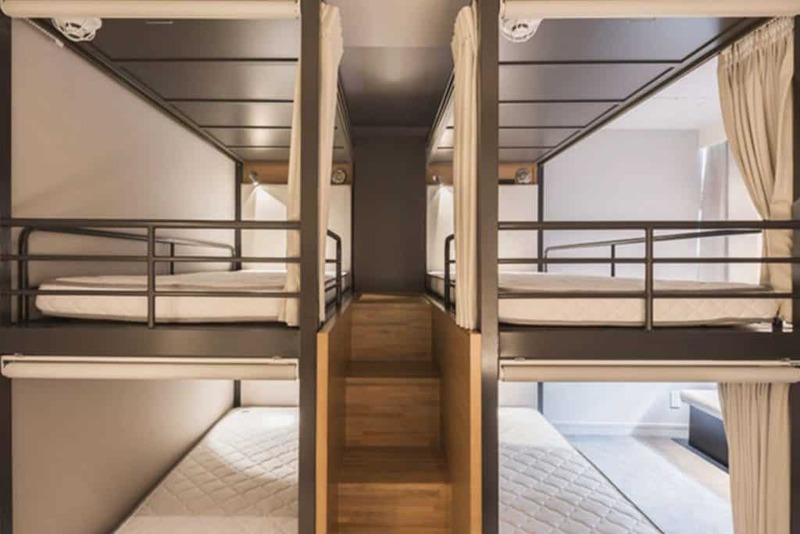 Grids serve as a hotel and a hostel for travellers visiting Tokyo. There are no mixed dorms available however for the purpose of serving a larger group of guests. One can stay in a private room with a shared bathroom or choose a quadruple room with 4 Pods and a shared bathroom if visiting as a group. If you want complete privacy, then Grids offers a Quadruple room with a private bathroom too. The hostel literally offers every combination of rooms making it a convenient place of stay for both families and individuals alike. The ambience of the hostel is stark and neat with sturdy pods designed for maximum comfort. The front desk is open 24 hours to assist with your needs and the staff communicates in English to serve travellers better. You can approach the front desk for any queries or even take their help to plan your day out in Tokyo. Besides, the hostel offers free WiFi to all guests. Grids Hostel is conveniently located in such a way that it is merely 10 minutes away from one of the electronic districts in Japan. The Akihabara area is lively and fun filled with friendly locals. The Ueno Park is a ten-minute drive from the hostel which is also close to the Sensoji temple, Japan Imperial Palace and several other tourist sights. There are many restaurants in the neighbourhood that offer a wide variety of cuisines even apart from traditional Japanese cuisine. Who stays at Grids Tokyo Akihabara? The hostel is famously visited by families or groups from around the world looking for a cosy and comfortable stay in Tokyo. If you are planning a trip for a bachelor’s party, then this hostel should be the first on the list. The common kitchenette and the communal area are great options to socialize and meet new people if you are travelling solo. What to expect at Grids Tokyo Akihabara? You don’t have to worry about safeguarding your luggage as Grids offers storage options for travellers. If you have some laundry to do, you can use the laundry service at Grids which is a real lifesaver. Laundry service at a hostel is always a big plus for us. The front desk also provides you with a pamphlet that contains everything you need to know for a comfortable stay whilst in Tokyo. All you need to be prepared for is a great time because the hospitality of the staff at Grids will handle the rest for you. Here is an overview of our handpicked top hostels in XYZ. In this chart we compare the main facilities and things to expect. What’s the best party hostel in Tokyo? Most hostels in Tokyo aren’t really in nightlife heavy areas. The best idea is to get a place which is well connected, as the 3 hostels mentioned above. It is the most social, chill place to have a beer on their in-house bar and mingle. After connecting, you want to head to Shinjuku or Roppongi area for a unique, odd and interesting nightlife. During the evening, go to Yasukuni-Shrine. It is a hot spot for people watching. 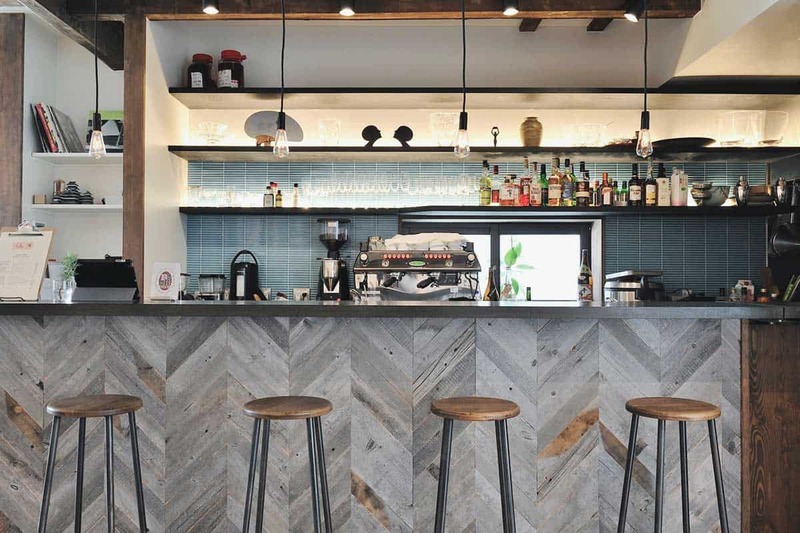 This hostel chain is also a bar and café. The nightlife is fun, chill, and they even have live music once in a while. If you are a bar-type of person and love to mingle, Nui. Hostel is our top place. Here is a video of the nightlife at Tokyo Party Hostel Nui. By no means is this a complete list of all Tokyo hostels. Why? We always try to bring you only the 3 absolute coolest hostels in Tokyo, Japan and all over the world. We do all the leg work for you, so you do not have to go through hours of research. That being said, here is more good Tokyo hostels we think are worth it to know. Below is a video of Planetyze Hostel, showing you around the accommodation. Hit the play button and turn on the music; you might wanna swing! What about the cheapest hostels in Tokyo? The difference in price is usually very little, yet the quality is a big difference. Spending just 1-2€ ($1-2) you will get lots of amenities. This can be breakfast or linen. Again, the value is higher than the price difference. Also, cheap hostels are normally far away from the city centre. Meaning, you will spend more money in transport. This is usually a big cost factor in Tokyo and all around Japan. However, please pay attention and do not go with the dirt-cheapest places out there. It is really not worth it, and may ruin your holidays and trip. 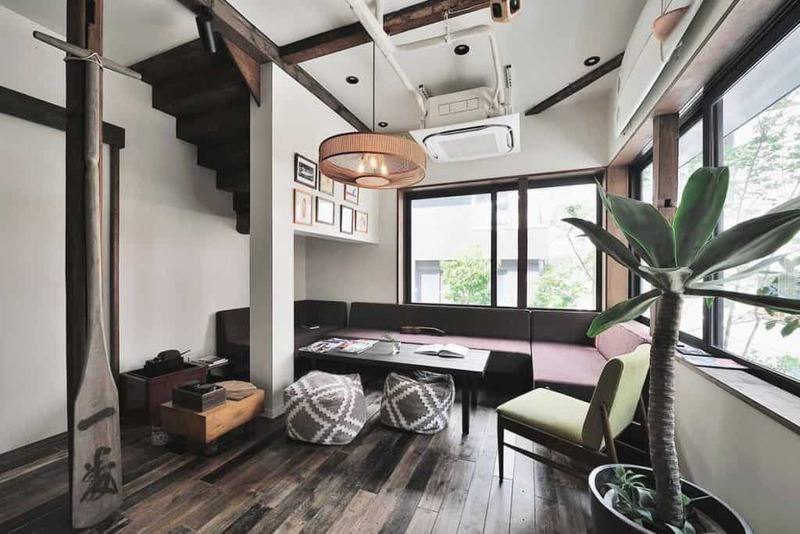 A guesthouse in Japan is not far away from a Japanese-Style hostel. To give you a better understanding: Book and Bed Asakusa is listed as a guesthouse. In our opinion, this is more a hostel than a guesthouse. Why? Because it is a social place to meet people, and it has dorms. Meaning, you can reserve individual beds, not private rooms. Nevertheless, accommodation types are just labels. The most important is having a great accommodation during your travels. Book and Bed Asakusa is one of the best places to stay at in Tokyo, together with the other two hostels mentioned in this article. Any discounts for Hostels in Tokyo? At the moment, we do not have any special hostel discounts in Tokyo. Find all our hostel discounts worldwide here. Also, you can always get the 35€ discount for Airbnb here. 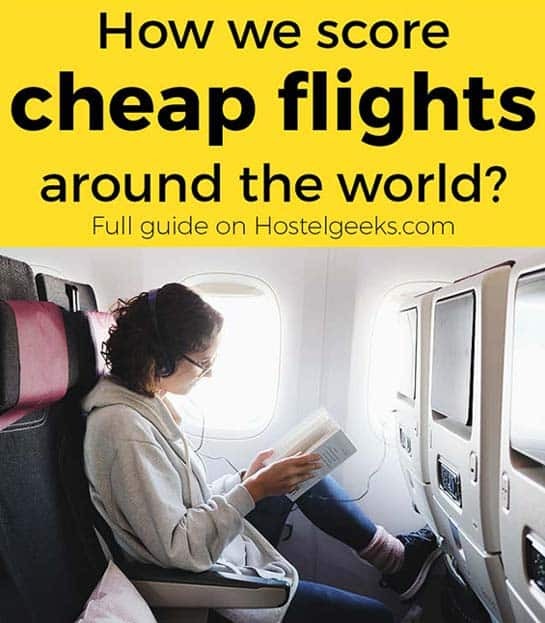 How to book the hostels? We recommend using Booking.com or Hostelworld! These are websites to book hotels, hostels, guesthouses, resorts and everything you can basically sleep in. It is the safest spot to leave your credit card details, make an account and have a secure booking. If there is any issue with your booking, both platform will take care of you. We never had a single issue. Therefore, we recommend using them for all your best hostels in Japan. 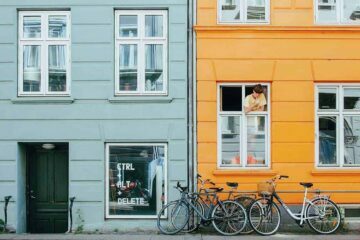 For more details, read: 15 smart tips for booking hostels worldwide. Let us have a look at the hostels put on a map. We also included the main tourist attractions that many people want to visit during their holidays in Tokyo. This makes it easier for planning your backpacking Tokyo trip. All recommended hostels are located near a metro stop and well connected. You can get to every single sight with public transport. Here you have also a link for buying Metro pass in advance. And here you have a link for booking many activities in Tokyo. Haven’t got your flights to Tokyo yet? We LOVE this flight booking website Kiwi. This is how we always find the sweetest flight deals. Check out Kiwi.com to find cheap flights to Tokyo. It is the best flight meta engine we found until now for getting the cheapest flights worldwide. Please please please let me know in the comments below. 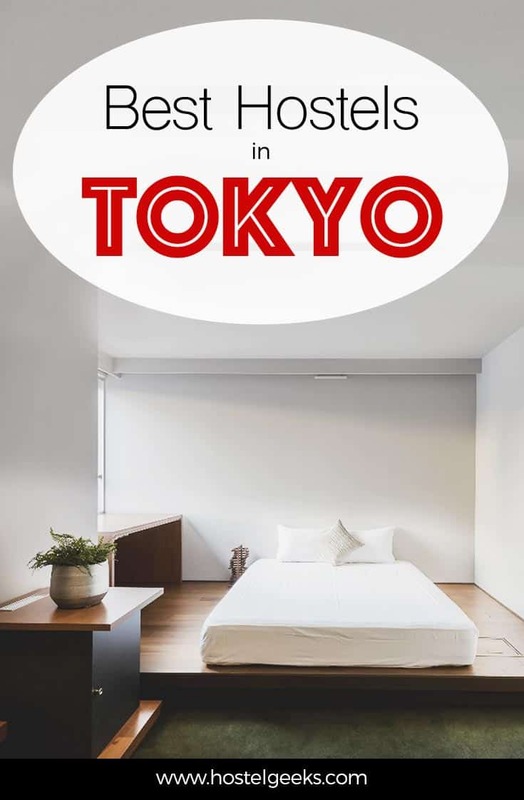 We would love to make this article for cool Tokyo hostels as informative and useful as possible. Therefore, with your question you help us to understand what we have missed and other travelers will appreciate this powerful and complete guide.